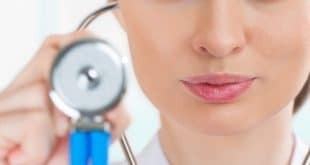 Home / Physician Assistant / 10 Myths About Being a Physician Assistant: Busted! 10 Myths About Being a Physician Assistant: Busted! Over the past few decades, mid-level practitioners have become more and more common in medical centers and in the greater health care community. Many patients and health care employees alike don’t know much about a physician assistant’s training or exactly what this individual will bring to the clinical setting. If you’re thinking about becoming a PA, it’s important to familiarize yourself with the most frequently publicized myths about the industry.
. 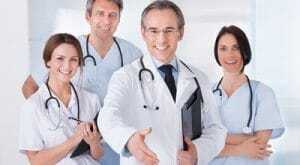 It is easy to get into a physician assistant (PA) program. Unless you are accepted into a combined bachelor’s and master’s program, you must obtain a bachelor’s degree before applying to PA school, which is at the level of a master’s degree. PA schools are competitive. Typically the minimum GPA requirement is 3.0 with many students having undergraduate GPAs as high as 3.7. Most people opt to pursue a PA program instead of medical school because it is shorter, not less competitive.
. Since PA school is easier than medical school, PAs provide inferior care. Contrary to popular opinion, PA school is not easier than medical school. PAs attend the same courses as medical students and are often expected to carry the same clinical loads. Attending physicians ask PAs and medical students the same questions and require the same level of functioning in the clinical setting, regardless of degree program.
. As PA school is shorter than medical school, medical assistants give inferior care. PA schools and medical schools use the same education model. PA students don’t spend as much time in school or in post-graduate training as medical students. However, medical assistants must meet ongoing licensure requirements, which means that they continue to take classes and attend conferences on a regular basis.
. A physician assistant is simply an assistant to a doctor. The terms “medical assistant” and “physician assistant” are misleading. With the exception of surgery, in which medical assistants do serve in a true assistant’s role during the surgery itself, PAs do the majority of their work on their own. They can prescribe any medication that a physician does, and they consult with their supervision physicians on an as needed basis.
. You don’t need health care experience to become a PA. Many PA programs require hands-on patient experience before applying. The experience requirement may be anywhere from 500 to 2,000 hours. You may need to obtain a medical certificate in order to get this hands on experience. This process must be factored into the total amount of time required to become a PA.
. A physician assistant is the same as a nurse. Although many nurses and physician assistants have similar duties, the two positions are not the same. 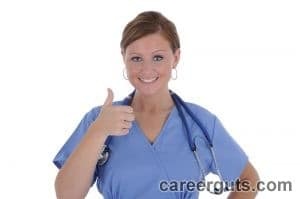 There are a wide range of nursing degrees, which greatly impact the type of job and level of responsibility that a nurse can have in the medical setting. All PAs have completed a combined bachelor’s and PA program or have obtained a bachelor’s degree and then completed a PA program.
. Becoming a PA is a shortcut to becoming a physician. PA schools and medical schools don’t have identical coursework. An individual with a PA degree may be able to meet a few of the pre-requisite requirements for an MD program but will most likely have to complete three years of medical school, an internship, and a residency before being able to practice as a physician.
. PAs are guaranteed a better balance between work life and home life than physicians. Most PAs are expected to keep very similar schedules to the physicians in their practices. In many instances, their work doesn’t end as soon as they walk out of the medical center or hospital. The vast majority of PAs are also responsible for passing licensure re-certification exams and participating in clinical and professional pursuits such as attending conferences and reading the latest industry publications.
. PAs simply make doctor appointments longer for patients. The vast majority of PAs work exclusively in a single area of medicine. For example, a surgical PA won’t be asked to take a shift in a primary care clinic. As such, PAs learn specialized skills that allow them to provide routine care for a given patient subset. If a patient doesn’t need to see a physician, a medical assistant won’t make the patient do so.
. It is less satisfying to work as a PA than a physician. Many people assume that individuals go into the PA field because they couldn’t cut it as doctors and consequently, will never be happy in the PA role. In reality, the vast majority of physician assistants are extremely satisfied with their jobs, which includes enjoying the work itself, feeling as though they matter, and being happy with their pay. If you’d like more information about obtaining a PA degree or working as a PA, talk to a physician assistant who is currently in practice and can provide first-hand knowledge.